Brian D. Johnson, D.M.D, P.C. Named one of " America's Top Dentists"
As always, the best dental office in town! Dr. Brian Johnson is committed to optimizing his patient’s oral health as it relates to their overall systemic health as well as function and aesthetics. His goal is simply to enhance quality of life through optimum oral health. Dr. Johnson attended North Springs High School in Atlanta and graduated in 1982. He then attended the University of Georgia , where he was in the National Honors Society. Dr. Johnson was also involved in research with the departments of chemistry and biochemistry. He received his Bachelor of Science in Chemistry in 1986. Dr Johnson graduated from the Medical College of Georgia Dental School in 1990. Dr. Johnson has been in private practice in Roswell since 1990. Dr. Johnson has been a member of several dental organizations , including the Academy of General Dentistry. Dr. Johnson has taken hundreds of hours of continuing education and has performed thousands of dental procedures in his dental career. He meticulously hand crafted each restoration for optimum aesthetics and function. Dr. Johnson has recently been named as one of ” America’s Top Dentists” by the Consumers’ Research Council of America. 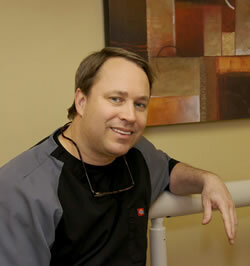 He was also named ” Alpharetta’s Favorite Dentist ” for 2009 by Around Town Magazine. Our patients frequently refer their friends to us!